The Virginia government elections happened weeks ago, but it ain't over yet. Here’s a FAQ to help explain what happened, and what to expect. Virginia's weird and arbitrary election schedule puts the election for Governor and some state offices in an "off-off-year." Since the 2017 election was the first major political contest after Trump's victory last fall, the entire country was watching to see how it might affect future elections. Virginia did not disappoint. 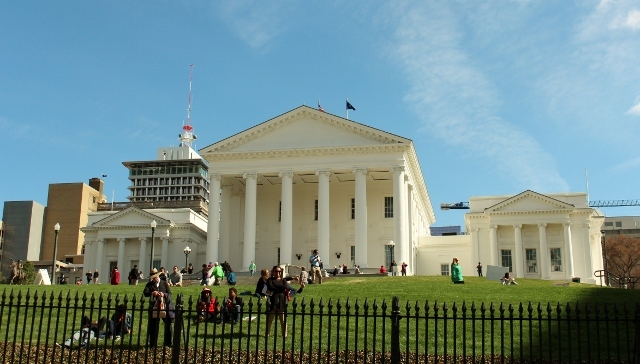 The outcomes of these three contested elections will determine which party controls one of the houses of Virginia's bicameral (two-house) legislature. The House of Delegates has 100 members, and it’s been skewed heavily towards the GOP in past years – in 2017, it was 66 to 34 for the Republicans. Virginia state law allows losing candidates to request a recount, as long as they lost by less than 1% of the total votes cast. You don't need a lot of math to realize that all three of the contested races fall within that margin. Still, Hugo and Thomas probably have little to worry about here; it's unlikely that a recount will turn up enough miscounted or discounted votes to overcome their lead. The 2013 recount took place over two days in mid-December, so we'll probably know the recount outcomes before the legislative session starts in January. Our endlessly inventive Virginia election laws also allow losing candidates to contest the election in the General Assembly. It’s not clear if this has ever happened before, so it's hard to know exactly how this would proceed. But the state code allows for such a challenge to be overseen by the House's Committee on Privileges and Elections. If the chamber remains Republican-controlled, it's unlikely the contest will go anywhere. But under a power-sharing arrangement, things could get more interesting. Democrats will most likely look to the courts for the 28th district, where voters were assigned the wrong ballots. Still, only about 80 votes seem to be at question here. Surely not all of them voted Democratic, so it's unlikely the Democrats could generate enough votes from these folks even if they were allowed to submit new ballots. The Democrats might instead try to get the original results thrown out and demand a special election. But they would have to find judges willing to interfere with election outcomes, which they are generally reluctant to do. The bottom line: these court challenges are less about the legal arguments made, and more about the politics of the situation. Will any Virginia judges be willing to wade into partisan politics and "overturn" an election? My guess is no, but we’ll see soon. One final method that the Democrats could use: Governor-Elect Ralph Northam has a lot of jobs to fill in his administration. Some Republicans are worried he could try to change the legislature's math by offering plum spots to Republican Delegates or Senators. At the same time, the Governor has to be careful not to pull a legislator out of a weak Democratic district. Northam's transition team may not end up affecting this year’s legislature much. (His predecessor, Terry MacAuliffe, only created one special election through appointment, and that wasn’t until August.) But remember that being a state legislator is only a part-time job; administration appointments can be lucrative, as well as allowing significant contributions to public service. Everyone will be eying the work of his transition team very closely. This is fascinating for political junkies for sure. But there are real policy consequences stemming from partisan control. For example, Republicans have blocked Medicaid expansion for years; so 400,000 Virginians who could have health insurance should care greatly about which party runs the legislature. Laws covering reproductive rights, gun regulations, and the environment all depend on whether or not they can get through committees.